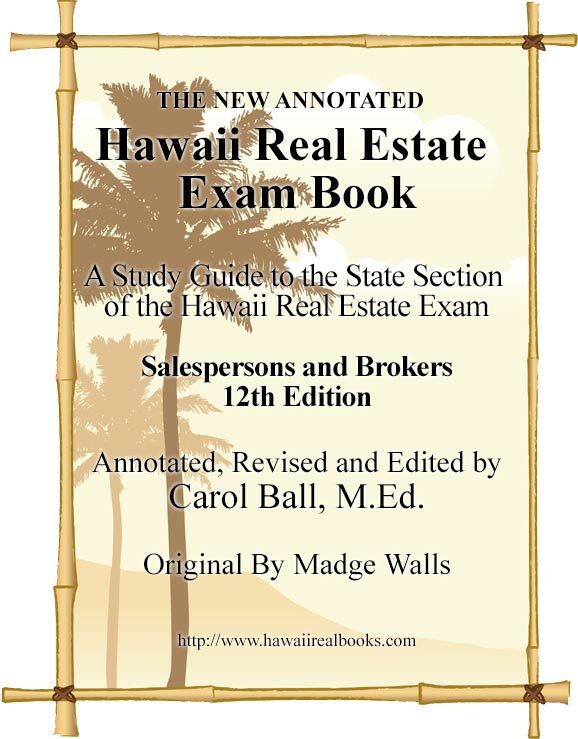 A Study Guide to the State Sections of the Hawaii Real Estate Salesperson and Broker Exams. "I have browsed through your book and I am impressed with the way you condensed the Laws and Administrative codes of Hawaii into a simple, easy to understand language. My compliments to you."